Interviewing the legends of Oceania football is all in a day's work for an OFC Media Officer. Do you love football? What about the Pacific? If you can tick both these boxes then we may have the role for you. 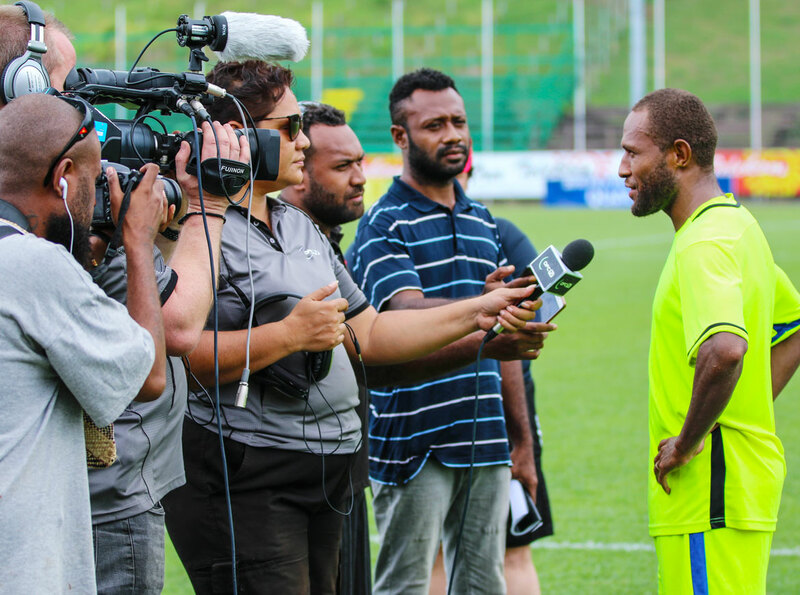 The Oceania Football Confederation (OFC) is looking for a talented media officer with an affinity for the Pacific and its diverse cultures, and a passion and knowledge of football and/or other sports, to join our ranks and help us enhance the profile of football development and create a platform to showcase elite football in the region. Working closely with the Head of Department to develop and execute the media and communication strategy and initiatives to increase the profile of the OFC, promote its values and role in football development across the region, and highlight the strong community and social responsibility ethos it holds.